From the point of view of an exhibitor, exhibitions often mean long days, lots of coffee and sometimes blistered feet if you happen to be wearing the wrong shoes. Despite this, they are mostly enjoyable and rewarding experiences, providing lots of opportunity for us to talk with our customers and help them with their measurement needs. Exhibitions are an ideal platform for meeting people, forging relationships and sharing a few beers. But, what happens after the exhibition when everybody has gone back to their day jobs? Well, this is often when relationships really flourish. The conversations and social interaction at an exhibition often set the foundations for future collaborations and longer term relationships. This can generate enthusiasm and excitement at the prospect of discovering new applications or measurement possibilities and the chance to develop something great together. 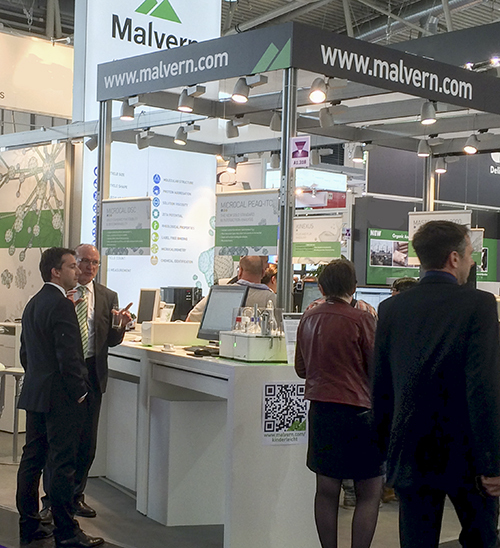 Our latest exhibition was Analytica, which is an International Trade Fair covering a range of subjects, from general laboratory through to the industrial sector and state-of-the-art biotechnology. 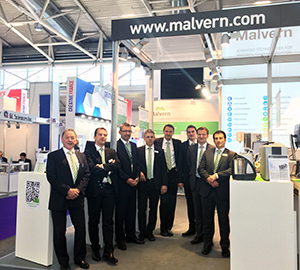 Along with Powtech it is one of the biggest exhibitions attended by Malvern Instruments, and consequently one where many new collaborations are established and existing relationships are nurtured. This year, as well as our application and technology experts, we also had our Material Characterization Toolbox and Biopharmaceutical Characterization solutions on display. This included all of Malvern’s measurement solutions for powders, dispersions, polymers, nanoparticles, peptides, proteins and other biomolecules, an overview of which can be found at www.malvern.com/kinderleicht. 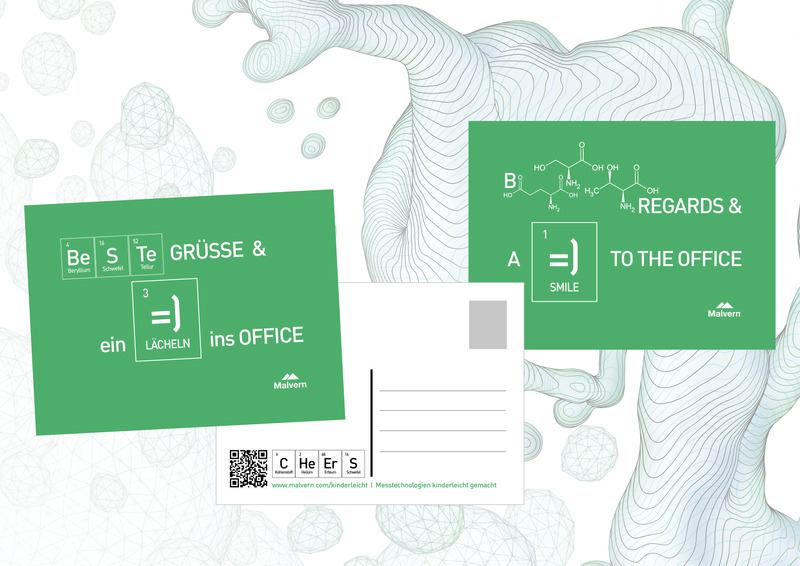 So to all those we have met at Analytica and other conferences this year, we really look forward to catching up with you again soon, whether we are working on a joint project, at a training course or instrument demonstration, or maybe even at another conference or exhibition. It’s always great to meet you!